ITEM TWENTY SIX: The Lighting Jar. Onward into summer, I was given a lightning jar at an early-evening picnic in the park. All glass and with the edition of the metal hasp, the lightning jar was marked improvement over the Napoleonic stage of canning. 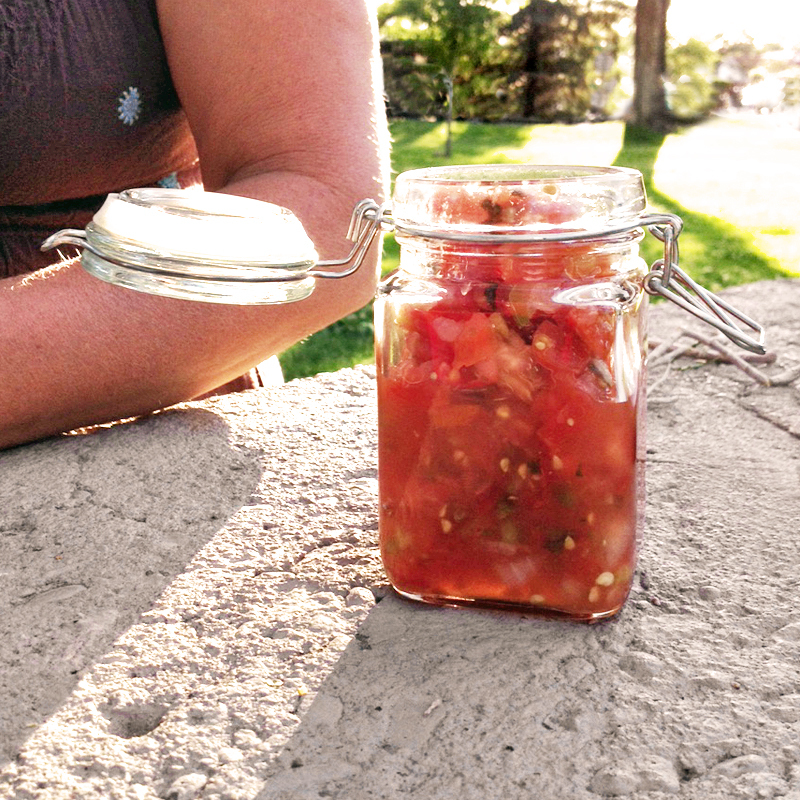 Durable, reusable and full of salsa, the lightning jar makes a great addition to the New Dish Collection.